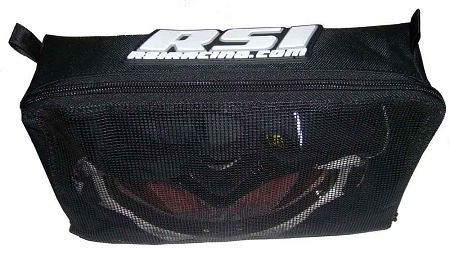 Universal vented storage bag has mesh opening to allow warm air from underhood engine heat to warm/thaw items in bag. 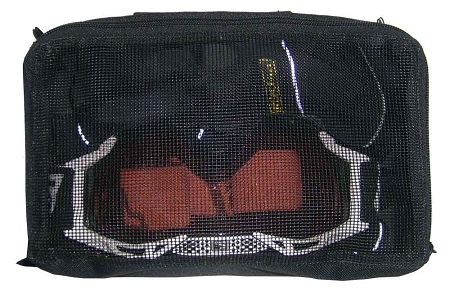 Great for wet goggles and gloves to thaw out while riding. Makes them nice and warm when putting them back on. Universal self adhesive & rivet mounting kit included. 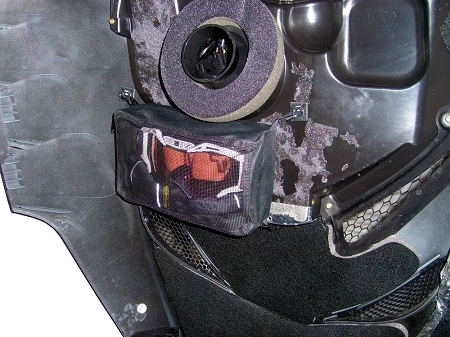 Mounts under most snowmobile hoods with a 10” X 6” mounting area above engine assembly. May also be mounted to side panels or belly pan. Made with heavy duty nylon and mesh materials.